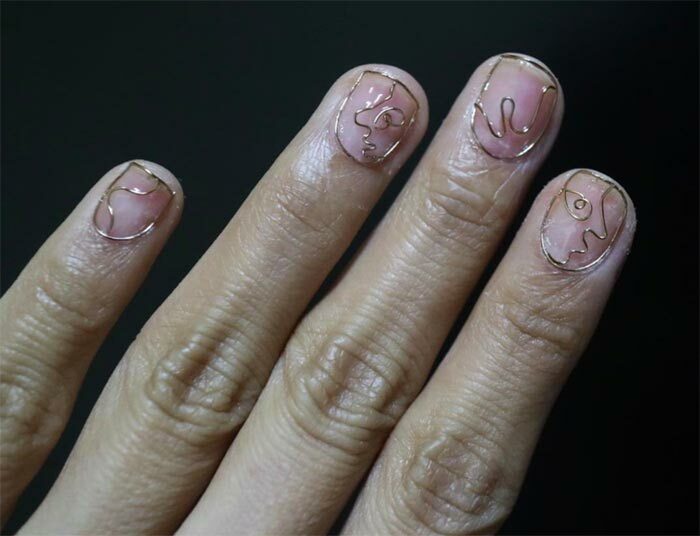 Wire nail art is the next suggested nail design trend and it is easy to see why. Wire nail design is opening doors of creativity and creating designs that are suggestive of a lot of imagination. The wire used for the nail art is malleable, meaning that nearly whatever shape you want can be created. 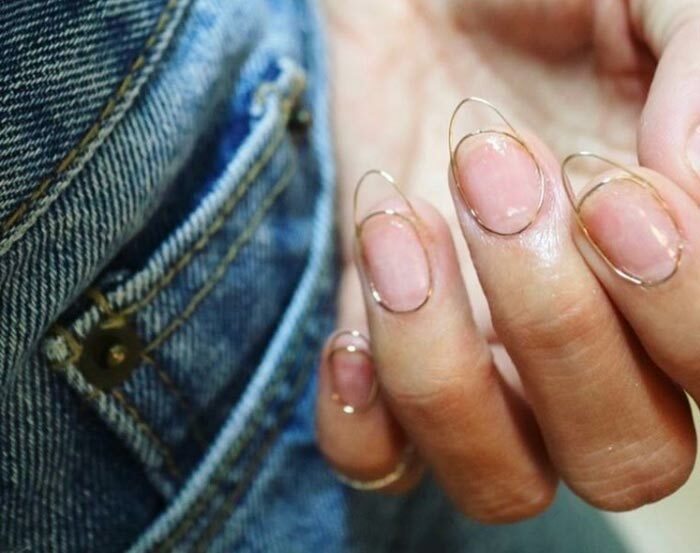 The wire can be trimmed to create stunning minimalistic manicures that look completely unique. The ability to curve the wire to meet the shape of an individual’s fingernail shape and length is amazing and the possibilities for a stunning recreation of your favorite design. That sort of dexterity in a material is a sure way to make it popular. I cannot wait to see how this particular trend will continue to unfold. As with most trends, the creator of the wire nail art trend is up for speculation, though Eun Kyung Park is being credited by Marie Claire as starting the trend. The versions coming out already include intricately shaped wire designs laid right on the nail. Some are shaped for an extravagant style but truly some of the most beautiful are absolutely minimalistic. Some feature the wire tracing out the natural curvature of the nail, which is then styled to look as though it is outlining a window. The stained glass nail art trend is almost certain to meet up with the wire nail art trend for unbelievable results, and I cannot wait to see all the avenues this trend will take. There are already swirls of metal decorating the centers. The outline of faces, eyes, hieroglyphics and symbols is already being done and added to the nails with wire for a gorgeous visual effect and a very cool textured option. The process is simple; it is the creativity that is hard. Soon we will have nail artists that offer the formed wire to attach to the nails at home and that will be a god send for those of us who have just mastered a smooth application of two coats ” and only with a quick drying formula. This is a trend that anyone can participate in without having exactly the same results. 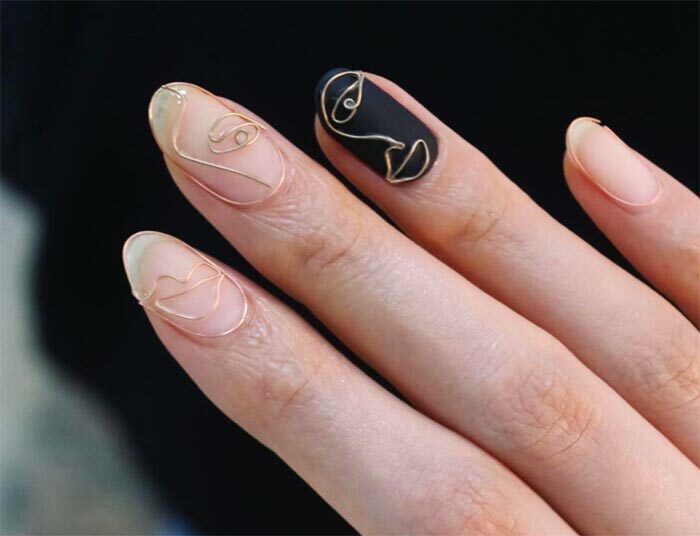 As with all trends, the different form that nail art will take is going to be evolving for a while, offering more and more iterations of the original idea. This is a trend to watch and see where it goes. 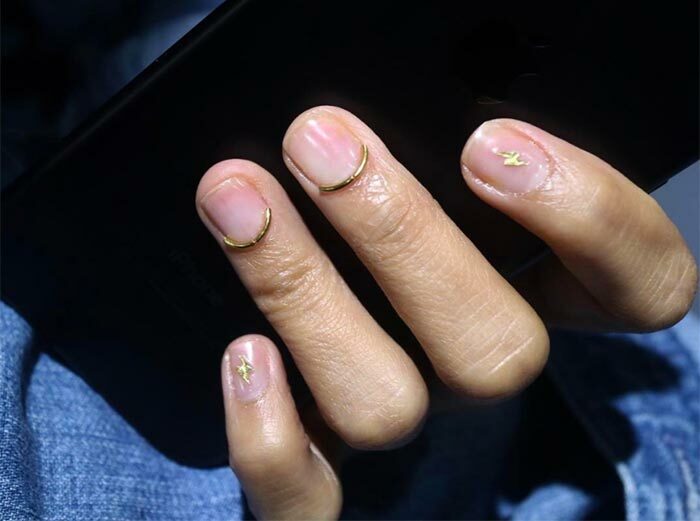 The idea of a wired manicure itself is interesting, but the manicures that feature a small strip of wire lined up with the cuticles, creating a French manicure or just resting on top in an eye-catching design are amazing. There are a lot of reasons to try this look, and I for one am excited to keep an eye on this trend through Instagram and Pinterest.